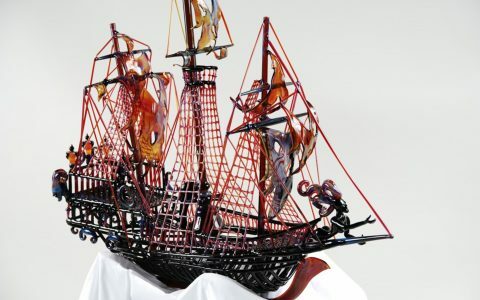 Chameleon Glass was ahead of the times in 1991, when the Phoenix-based glassmaker opened for business. It would be another five years before California became the first US state to allow medical marijuana, part of a trend that would send the company’s sales through the roof and usher in a big bong boom. 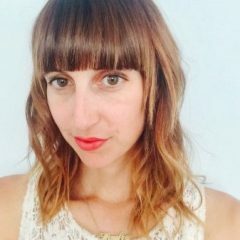 That label, said founder Ken Kulow, is one he’s long staked his reputation on. Yet in today’s market, it’s becoming more and more rare. At its peak, Chameleon Glass employed 75 people. Today his staff consists of just 15. 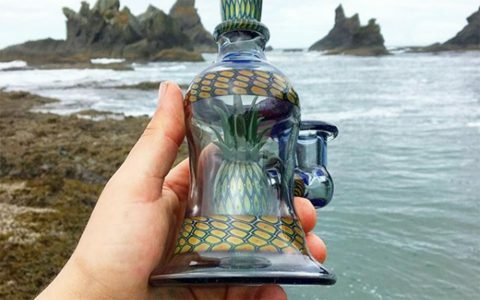 As legalization has spread, the business outlook for glassmakers has grown increasingly volatile. The market is more crowded than before, price competition has fueled outsourcing, and the unrelenting popularity of the vape pen has stolen market share from flower. Together, the forces to threaten the viability of Chameleon and other companies like it. Chameleon got into the glass game before most. Kulow’s relationship with glass stretches back decades and began in a more traditional capacity: making light bulbs for General Electric. He eventually parlayed that glass-blowing experience into Chameleon Glass, and for many years saw exponential company growth and smooth sailing. Then in 2003, Tommy Chong got busted for selling bongs on the internet and landed in federal prison. The event shined a light on the otherwise clandestine industry, Kulow said. Despite the potential for criminal charges, more artists entered the market as legalization spread from state to state, and—as in many commercial industries— some began outsourcing to China. As that was unfolding, vape pens rose to power. Their popularity, Kulow said, signaled a “major shift” in prevailing methods of consumption. 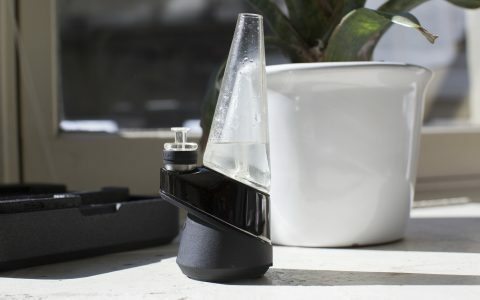 Not only is vaping convenient, he explained, but vape pens are inconspicuous and generally less expensive than glass. Some are even given away for free by dispensaries. 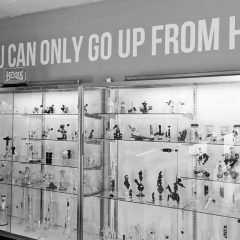 “Is vaping driving glass sales down? There’s absolutely no doubt,” Kulow said. A report released last year by delivery service Eaze seems to echo this claim. In December 2015, cannabis oil cartridges accounted for 6% of the company’s total sales. By the same time the next year, that number had risen to 24%. Meanwhile, flower sales took a dive, accounting for 75% of Eaze’s total sales in 2015 and just 54% in 2016. While the report was based solely on self-reported data from a single company, the numbers reinforce a trend that many in the industry said they’ve seen. The market is changing so rapidly, it’s sometimes hard to separate the signal from the noise. Kush Bottles, a packaging and accessories wholesaler that caters to the cannabis industry, has seen across-the-board surges in sales as more states legalize, Marketing Director Matt Canter told Leafly. 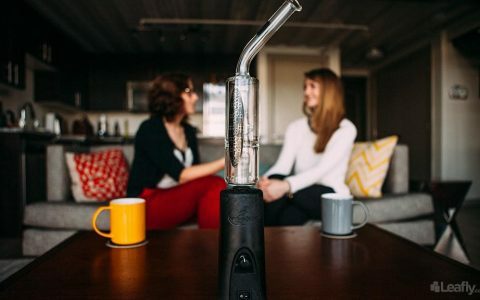 Vape-related revenue has exploded, he said—increasing nearly tenfold in a single year—but glass sales have increased, too. In 2017, vape-related sales accounted for about $600,000 to $900,000 in revenue from March through May. During the same period this year, vape revenues were between $7 million and $10 million. (Kush Bottles acquired a vape company during that period, which likely contributed to that growth.) Glass sales, meanwhile, tend to see an uptick in demand in the spring and summer months, Canter said. There’s still a large consumer base that views cannabis through a “nostalgic lens” and wants the old-school pipe. 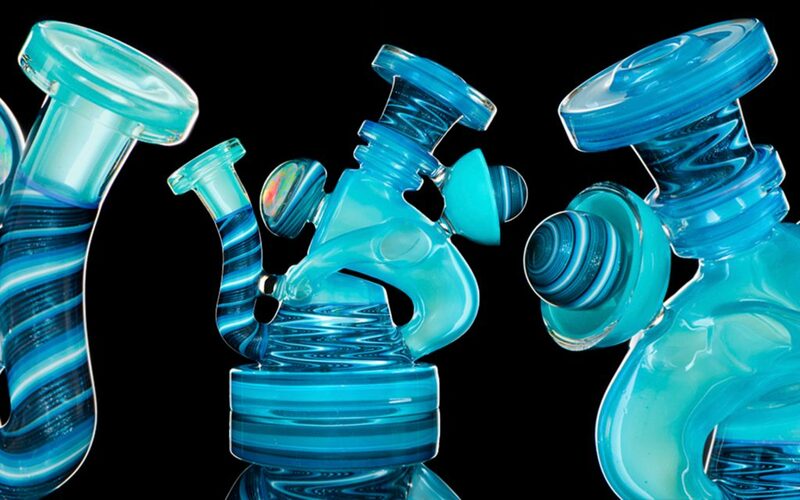 Succeeding as a glass artist today requires more than just a fresh take on pipes, bongs, and bubblers. Rapid changes in consumer preferences keep manufacturers on their toes. 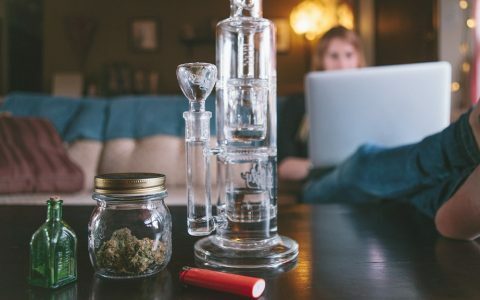 Legalization isn’t making glass disappear, but it certainly has changed its shape. 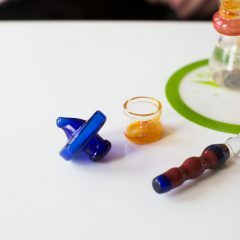 Some glassmakers were quick to point out that the rise of concentrates doesn’t spell doom for flower—or glass. There may be more choices, but they’re not mutually exclusive. “Just because I like gin doesn’t mean I don’t stock tequila in my cabinet, as well,” said Darby Cox, co-founder of online glass shop Smoke Cartel. Based in Georgia, Smoke Cartel has been online for about five years, Cox said. 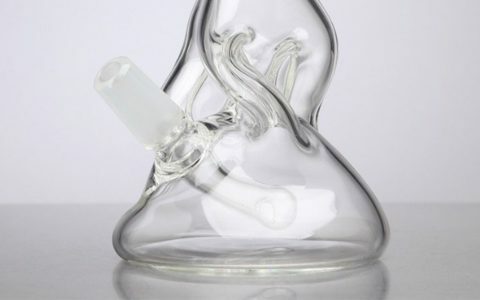 Bongs are still the site’s primary seller, she said, while demand for other wares varies with the season and location of the buyer. Legalization isn’t making glass disappear, she said, but it certainly has changed its shape. 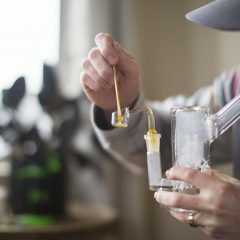 “Instead of buying a flower piece, they might by dab rigs or vice versa,” Cox said. For David Daily, founder and CEO of glass manufacturer Gravitron, legalization has changed his entire business model. Daily is now focused not only on making bubblers, bongs and hand pipes, he said, but creating compelling experiences in order to sell Gravitron goods in cannabis stores across the country. “It is our singular focus,” he said. Daily maintains a four-acre Gravitron campus in Austin, Texas, and employs 40 people. To stay afloat in today’s market, he said, a company has to be willing completely overhaul its business model. For example, as his company expanded from making its namesake gravity bong to producing hundreds of products, Gravitron outsourced manufacturing. There just wasn’t enough capacity in the United States to keep up with demand, Daily said. “We’re designing and making everything in China and we’re proud of it,” he said. Daily acknowledged that many still look down on Chinese-made goods, but he said today that’s largely unfounded. The country is home some of the best glassmakers he’s ever seen, he explained, and demonstrates ingenious production processes. 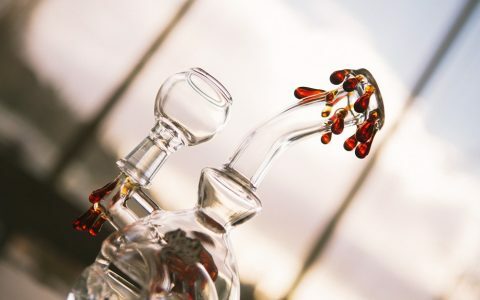 While glass pipes and bongs may remain attractive to more traditional consumers or those looking to own a piece of “functional art” that’s as attractive on a mantelpiece as it is at a backyard barbeque, Kulow worries that today’s changes are reducing American glassmakers to a minor part of the industry. This is no joke i was a small time lamp worker and the glass and color got to expensive to keep up with folks demand. Now I just blow glass for myself and friends.